Ubuntu has Launch their Smartphone with great Design and Style, If you want you can change your Android Device to Ubuntu Mobile. Android devices are great and if you love to customize your android Device then you can easily do it. 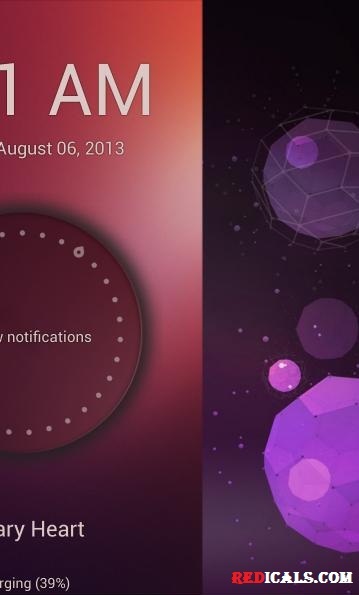 Now you can copy Ubuntu lock screen for your Android Device. STEP 1:- Install Ubuntu Lockscreen on your Android device. STEP 2:- Press the Home button and it will ask you to select launcher, choose Ubuntu Lockscreen and Click on Use this as Default launcher. Now you have successfully Installed your Ubuntu Lockscreen on your Android Mobile. Ubuntu Lockscreen also Include features like All notifications can be shown, just enable the Accessibility Service, Animations, use music buttons and set up Password security.